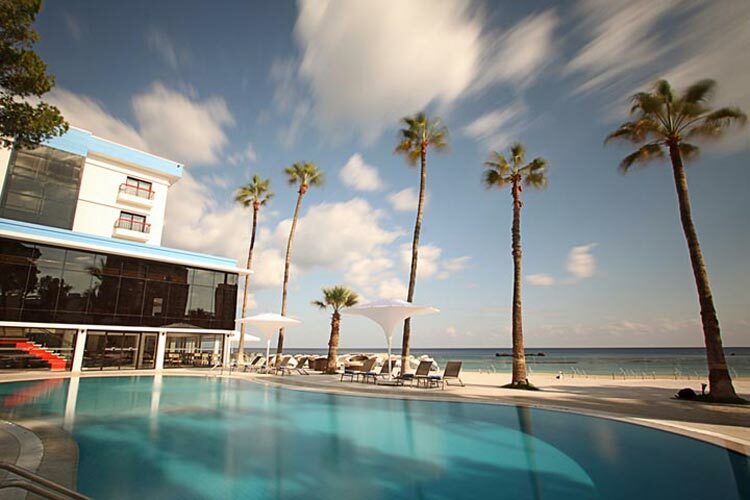 Situated just one mile from the centre of the historic port city of Famagusta, The Arkin Palm Beach is one of the best 5 star hotels in Famagusta Northern Cyprus. 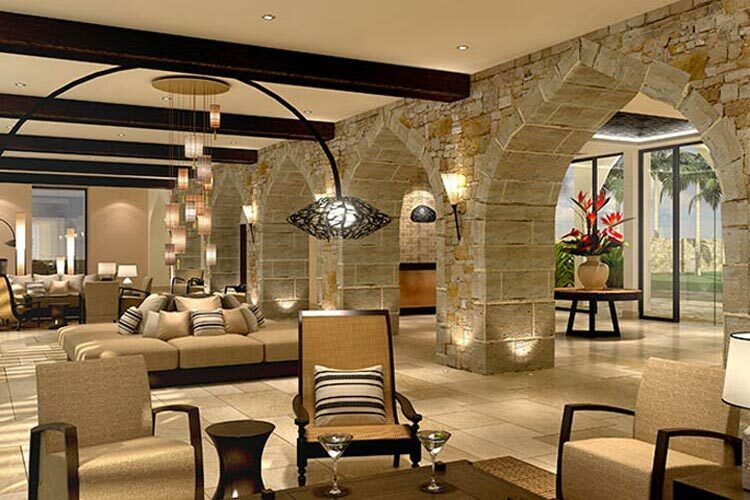 From the impressive entrance lobby that leads into the lobby bar and lounge, there is an understated elegance in the surroundings that exudes an atmosphere of welcome. 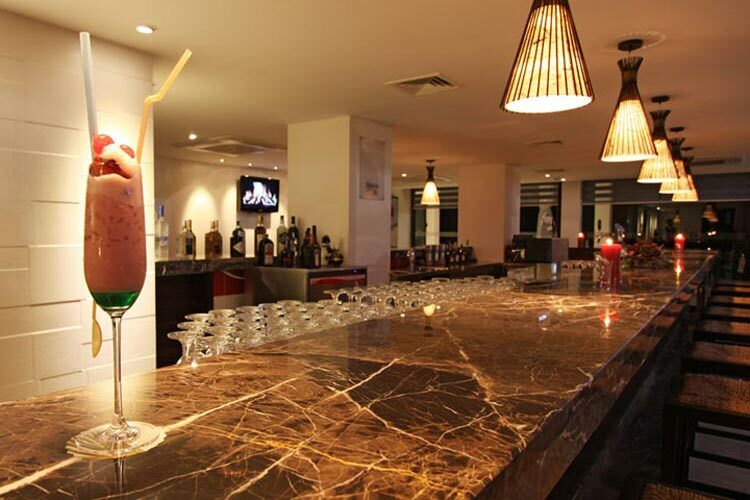 The lobby bar opens onto the sea-front terrace with a view across the golden beach to the warm surf of the Mediterranean as it gently laps the shores in the Bay of Famagusta. 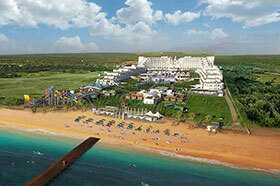 It is located on a private sandy beach in a remarkably quiet area. The beautiful beach is equipped with sun-beds and parasols; the gently sloping sand provides safe swimming and turtles are frequently seen as they feed close to shore. 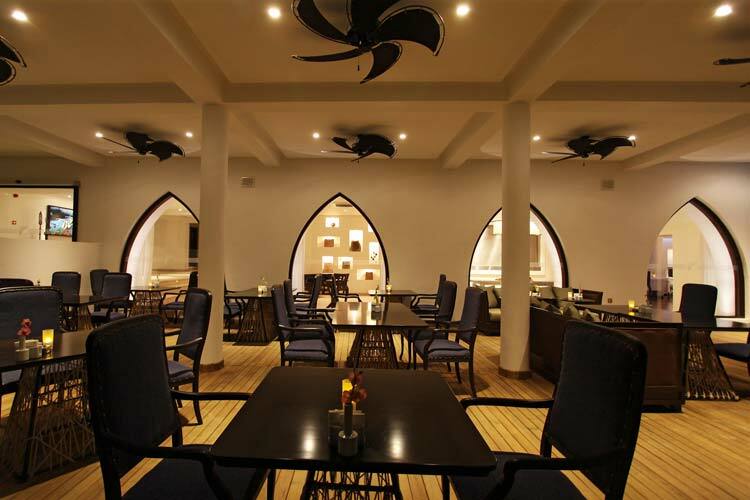 The hotel has extensive facilities & dining options one could expect in a high class establishment where the service is friendly and refined. 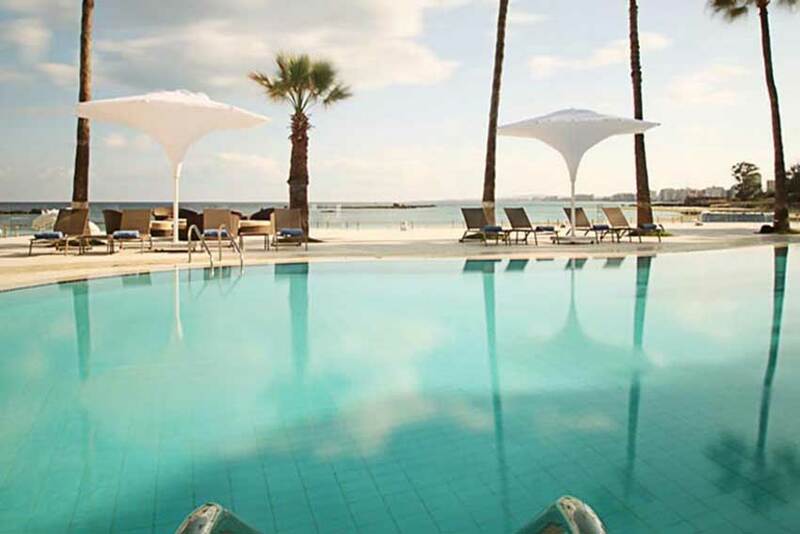 It is an ideal place for sun worshippers and explorers alike, and perfect choice for a relaxing and peaceful holiday in Famagusta, Northern Cyprus. 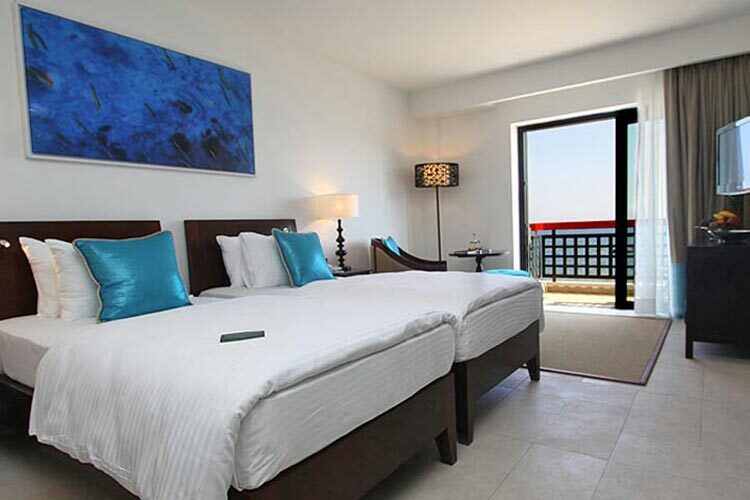 This is a prestigious hotel providing a choice of luxurious accommodation that ranges from standard rooms to elegant suites, all of which are furnished to a very high standard. The rooms are all equipped with private en-suite facilities, WC, washbasin, separate shower or bath with integral shower, cotton bathrobes and slippers. 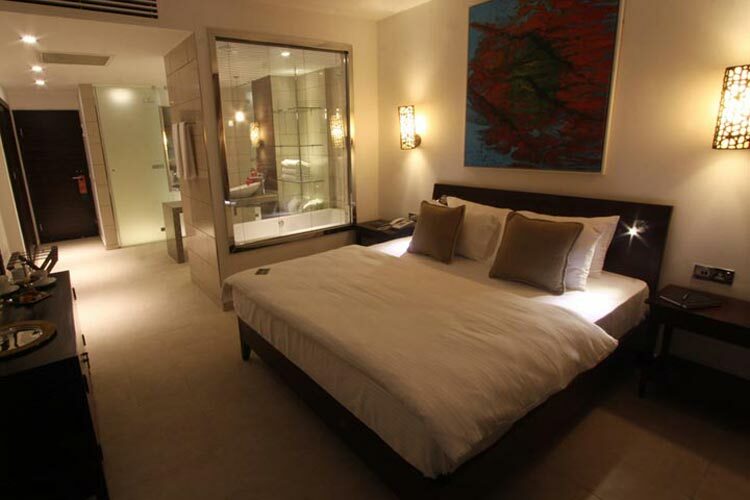 In addition they all have inter-active TV, high-speed internet access, mini-bar, hairdryer, and electronic safes. There are currently three fully equipped rooms for disabled clients. The spa and wellness centre has a fitness room to work off any excess pounds. 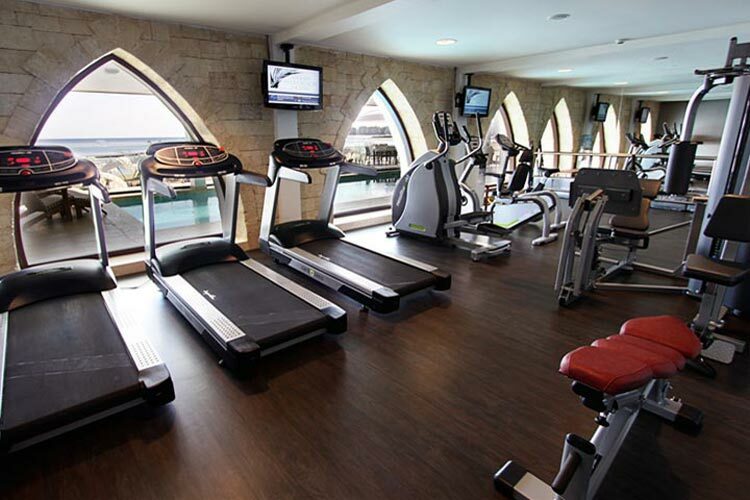 This is fully furnished with weights and rowing machines and has a professional fitness instructor to give advice. 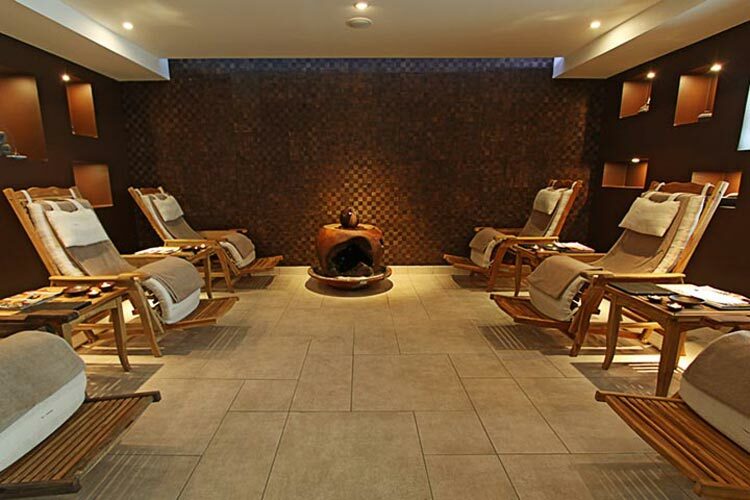 A therapy room for quiet meditation and relaxation plus a sauna and hairdresser/beauty salon provide an extra spot of pampering that helps to make a holiday special. 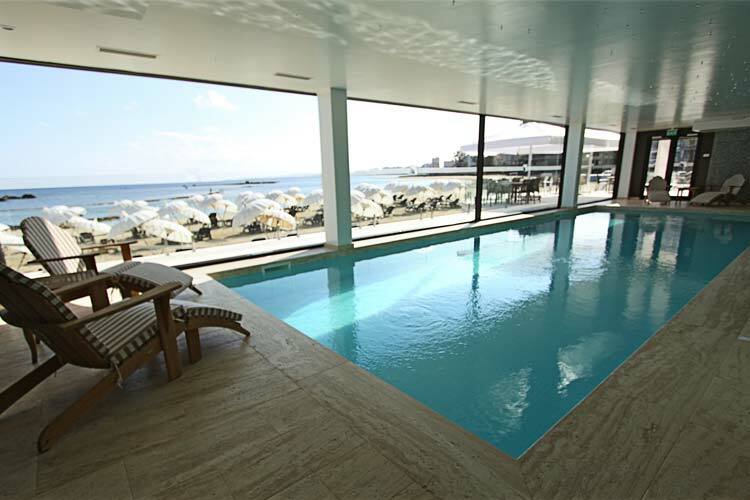 The exquisite indoor pool has a full length aspect over the beach and sea. 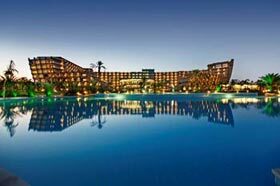 There are conference and banqueting facilities for groups up to 350, while the garden and pool areas can accommodate large parties up to 3,000. The in-house casino is equipped with slot machines; and black-jack or roulette tables for those who like to have a flutter! A pier that stretches out into the sea is fully equipped for summer dining. Lunches are served beneath a canopy as zephyr breezes stir the air and lamp-lit dinners are enjoyed with the sound of the sea as it ripples underfoot. 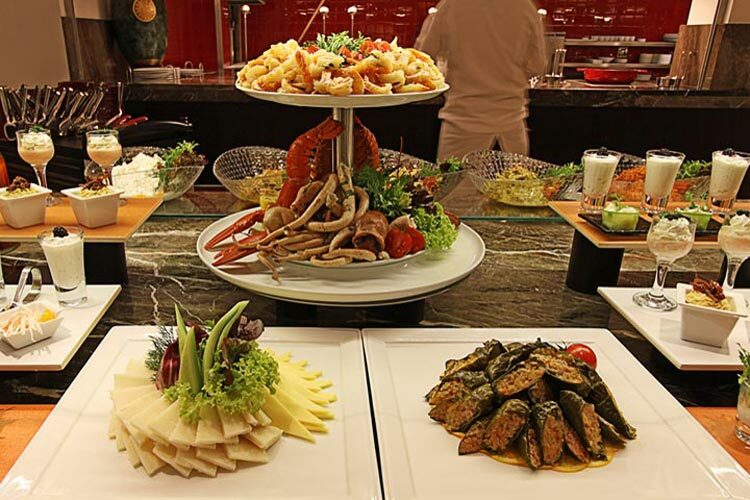 Fine dining is provided in the restaurants where the hotel chefs create mouth-watering dishes that encompass cuisine from around the world. 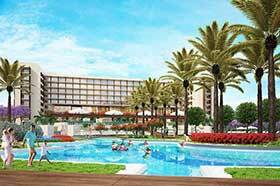 The location of hotel offers a chance to explore the most interesting areas of Northern Cyprus. 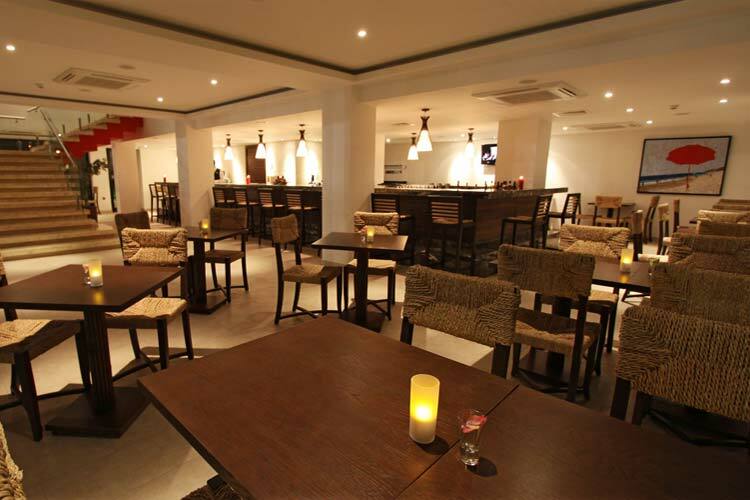 Famagusta is only thirty minutes from Ercan airport and the hotel is situated a short distance from the city centre. 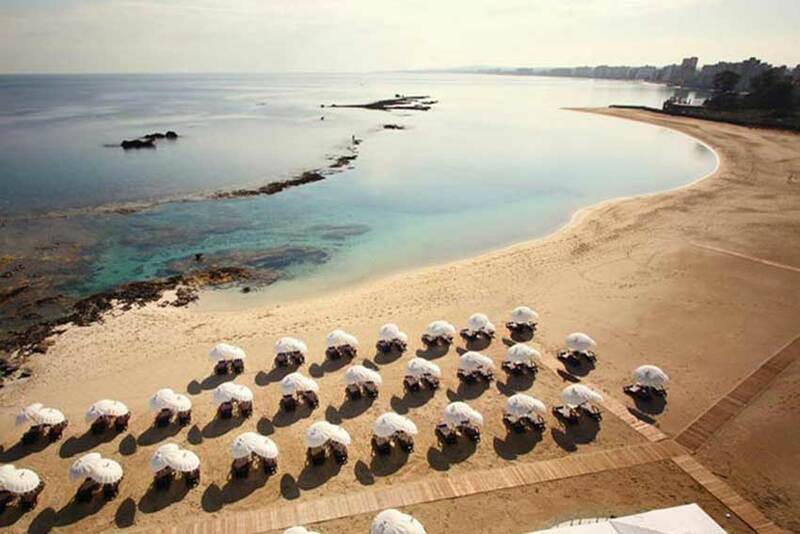 For those who wish to explore something of the country, this hotel is strategically placed a short distance from the medieval walled city of Famagusta, a city that is steeped in history and has been described as an open air museum. If you tear yourself from the delightful beach, you will be rewarded with some fantastic and unique sightseeing opportunities. 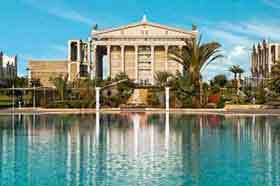 The ruins of Roman Salamis, the mighty city walls and Othello's Tower are a terrific glimpse into the ancient past, whilst the "ghost city" of Varosha offers a fascinating insight into more recent history. The Karpaz peninsula is an easy drive. 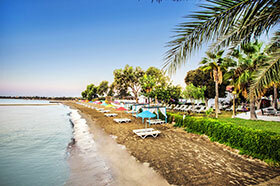 This is the perfect destination for a truly relaxing beach holiday in North Cyprus. 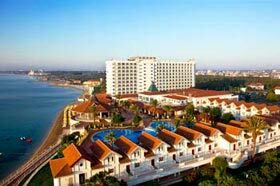 "Lovely 5 star hotel in Famagusta"
We stayed at the Arkin Palm Beach Hotel for 2 weeks in October. 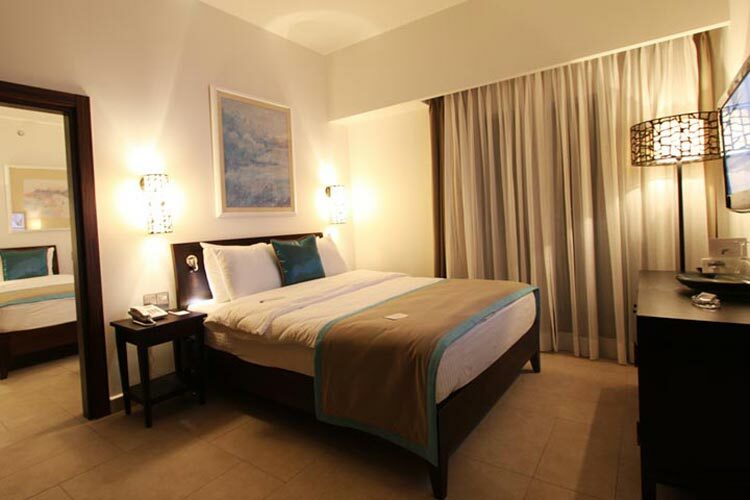 The hotel was fantastic with wonderful views and clean, modern spacious rooms. The beach was just perfect with soft sand. The food was delicious. Breakfast was fantastic with lots of choice. 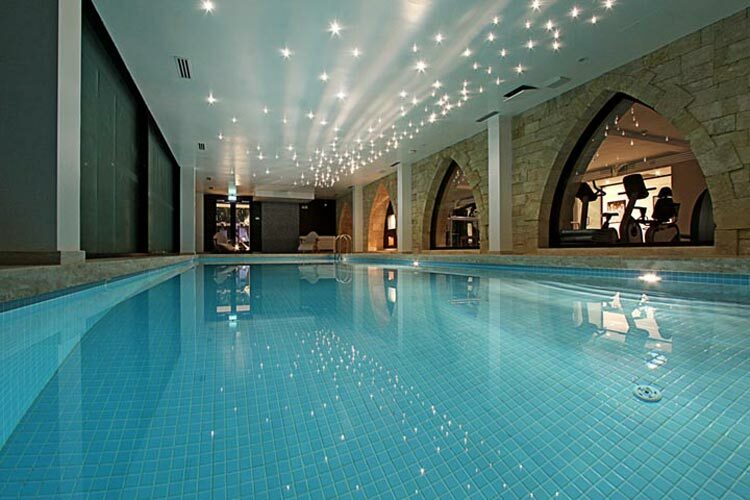 The swimming pool was amazing. The staff were extremely helpful and welcoming. We used Spa and Wellness Centre 3 times during our stay and the massage treatment was just perfect. We rented a car for 7 days and explored historical sites such as Salamis Ruins, old town of Famagusta, as well as Karpas peninsula – a truly beautiful place with beautiful beaches. 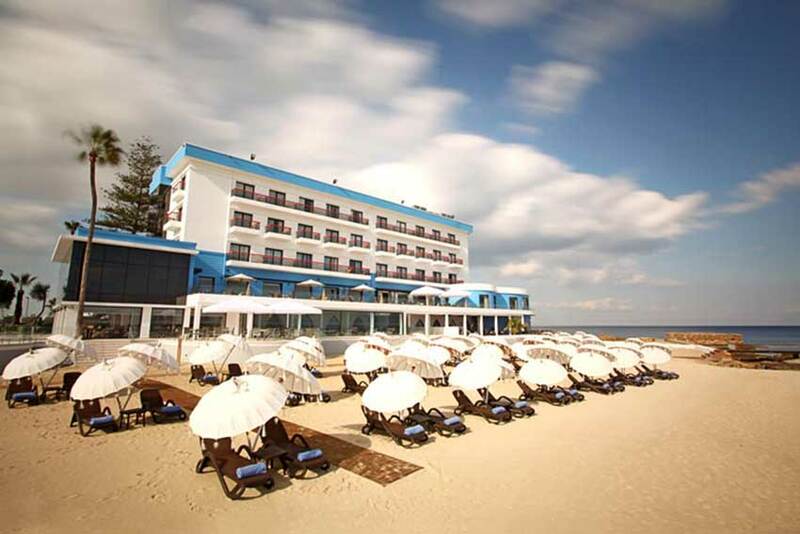 Me and my partner were looking for a beach holiday in a beautiful location and recommend this hotel by some friends who stayed here before. The beach was clean. Sand was very soft & golden. We couldn't fault this hotel at all. Our thanks for the excellent customer service, every member of staff were dedicated to providing amazing service. The pool and grounds were kept very clean. The hotel was not far from Famagusta centre. 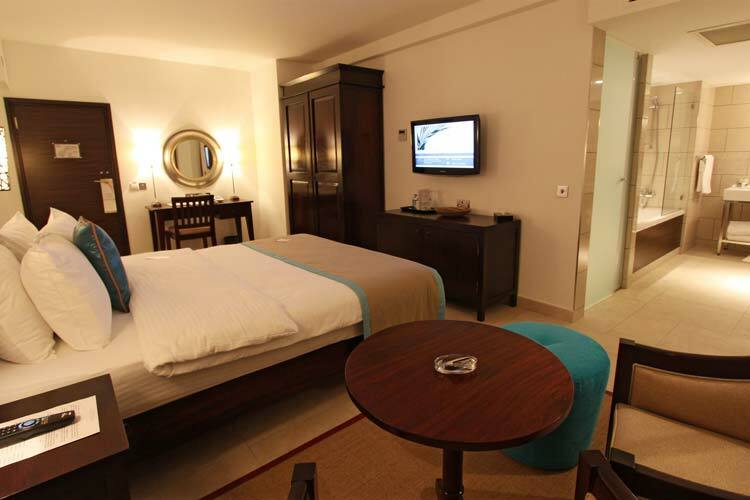 We were given a Junior Suite Room which was very spacious and comfortable with expansive Mediterranean Sea views. Our room was cleaned every day and the towels and bed linen also changed daily. The best thing about this hotel was the food; it always kept hot. Breakfast was great, plenty of choice. Dinner was even better with locally-grown and harvested specialities - there was a separate salad selection which was fantastic! We will definitely return again! And recommend it to everyone.